On Friday last week, Motley Crue’s long-awaited biopic The Dirt was released on Netflix. 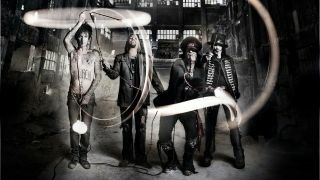 The no-holds-barred look at the Crue’s career is accompanied by the official soundtrack, which includes four new songs: The Dirt (Est. 1981) a cover of Madonna's Like A Virgin, Ride With The Devil and Crash And Burn. And while it's received some harsh comments and currently has an overall score of 45% on Rotten Tomatoes from the critics, the fans are clearly enjoying it, with the film current sitting at an 85% approval rating from the Crue faithful... and it’s a point that bassist Nikki Sixx agrees with. He later added: “I’ve seen the movie multiple times over the course of the team putting it together. The Dirt stars Douglas Booth as Sixx, Daniel Webber as Vince Neil, Iwan Rheon as Mick Mars and Machine Gun Kelly as Tommy Lee.